After over 2 months effort repairing the driving axle faults and a frustrating week with minor snags whilst running in, the Q6 entered traffic again today. So, the Q6 finally entered traffic on the 12:30 train from Grosmont and hauled the round trip to Pickering before returning to Pickering on the 15:30. 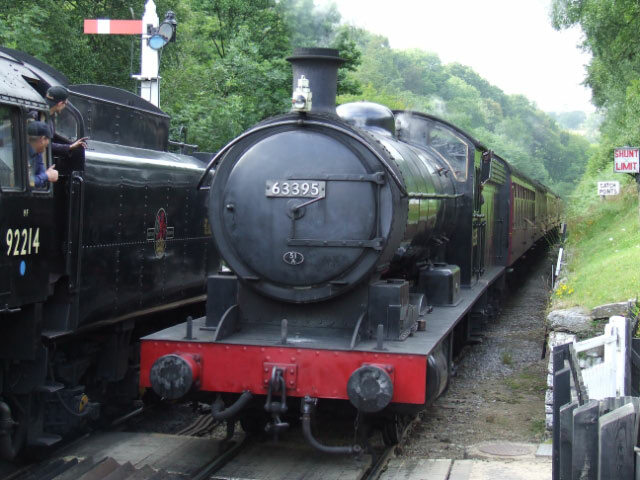 As reported in NELPG News 263, when working its first passenger train of the season at the beginning of May, the engine worked well up the bank but once over the summit at Goathland it developed a problem as the driver reported the engine was ‘shaking itself to bits’. On arrival at Pickering the engine was taken to Newbridge yard and withdrawn from traffic until an investigation and full examination of the problem could be done. Unfortunately the problem occurred right at the beginning of the NYMR’s 10 day 175th anniversary gala , which meant they were fully stretched and they had no spare staff available to examine the engine or drive the engine back to Grosmont, so the engine was stuck at Newbridge for over a week. When the examination eventually took place the problem was traced to a leak on the cataract oil cylinder on the steam reverser. The oil cylinder should normally lock the valve gear in position and stop it from moving about and therefore changing the cut off on every wheel revolution. This wasn’t locking and therefore the valve gear was being shaken and was moving with every wheel revolution. The problem with the oil cylinder was relatively straight forward and quickly solved but unfortunately during the thorough examination another problem was found. This problem was loose horn liner plates on the right hand side main driving wheelset, with one plate having broken bolts. This required the removal of this wheelset to gain access to the bolts. A working party was quickly organised and with the help of the NMYR the wheelset was removed using the wheeldrop, and it was at this point another problem was found. Once we had removed the wheelset and examined the axleboxes it soon became clear that we couldn’t refit the axleboxes as the condition of the boss face horn plate was far worse than expected. By the end of May the broken horn liner plate bolts had been replaced. The axleboxes were repaired by Richard Campbell, having been white metalled, and new boss face plates fitted. 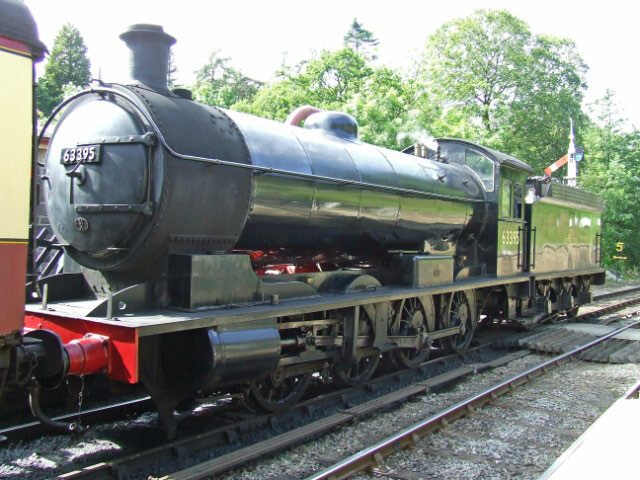 The axleboxes were delivered back to Grosmont during the first week of June, refitted to the wheelset, and the the wheelset was refitted at the first vacant opportunity to use the wheeldrop on Friday 17th June. Loco reassembly of the motion, rods etc. continued in Deviation shed over the next 2 weeks. The engine then spent a day running round the shed yard to see if there were any snags. Unfortunately there were in the form of a problem with both big end bearings. They were then dismantle and repaired on Tuesday 5th July. Another day of running in was organised for Thursday 7th, and this time it broke a piston packing. This was repaired and the loco again ran round the yard on Sunday. It is to be hoped that this is the end of the present spate of problems with the engine and that it now completes a successful season on the North Yorkshire Moors railway. 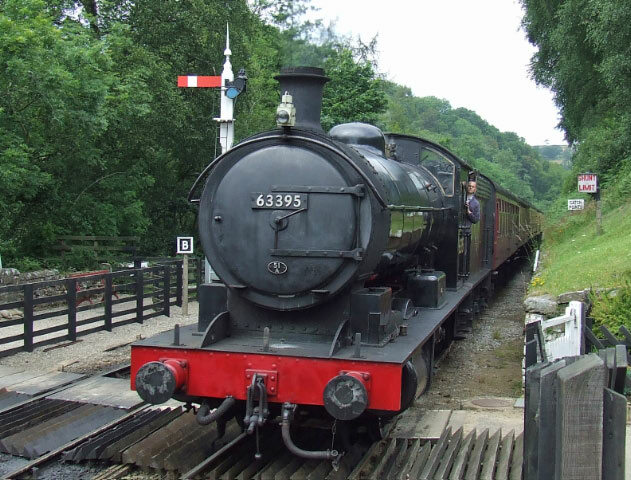 The Q6 was stabled overnight at Pickering and returned through Goathland with the first train of the day on Tuesday.